Fall in Houston is always a bit of a tease. We get one or two days of beautiful weather, followed by a 90 degree Halloween, BUT that’s not to say we don’t get very excited for all things fall (and wear our cute new sweaters on said 90 degree Halloweens). 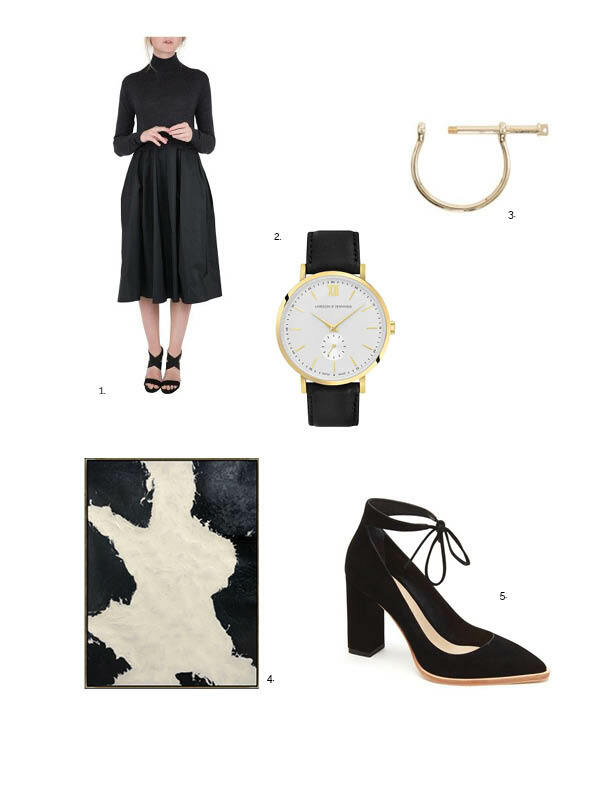 Whether its fall fashion or your home’s finishes, black + white is the most timeless combination and we’ve rounded up some of our favorite pieces and spaces of the season. We are loving this super-sleek black and white look from Fashion Jackson. Her taupe bag is in our favorite neutral color of the moment and her chunky sunglasses and gold accessories complete this effortlessly chic workday look. In this Memorial-area home, black + white is clearly the star of the show. 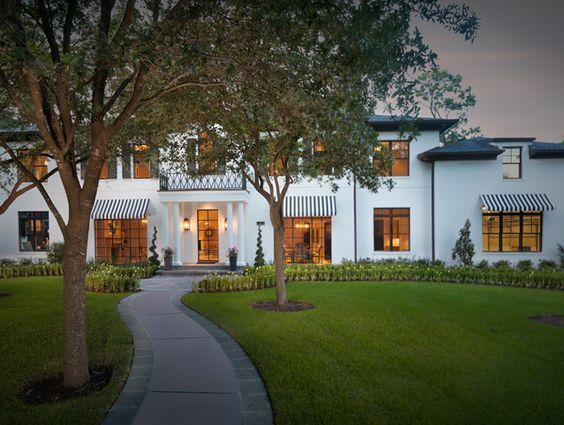 The cabana stripe awnings make this the most memorable house on the block and the high-contrast along the exterior will never go out of style. 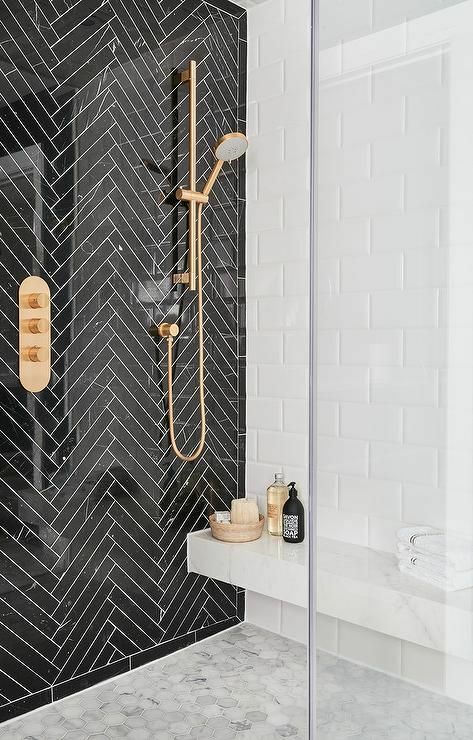 We’re dying to do this black herringbone/light grout combo with these amazing brass plumbing fixtures, and you just can’t go wrong with white marble + subway tile!